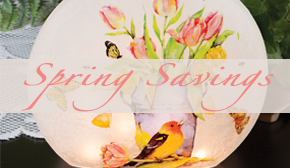 Since we are having our Fall Lighting Sale, we have lighting on the brain. 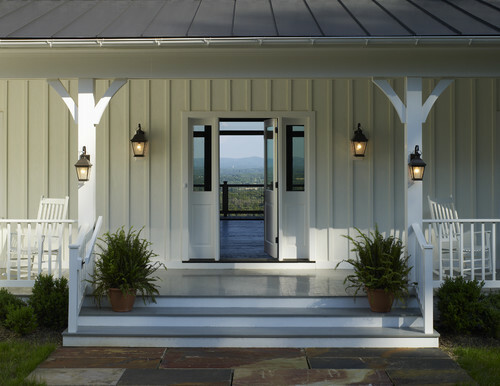 So today we’ve curated four farmhouse porch lighting options that each offer a different look, yet provide timeless charm and illumination in outdoor living spaces. offers a more primitive appearance so opt for this kind if that’s the look you prefer. because they resemble vintage oil lamps, but are conveniently powered by electricity. 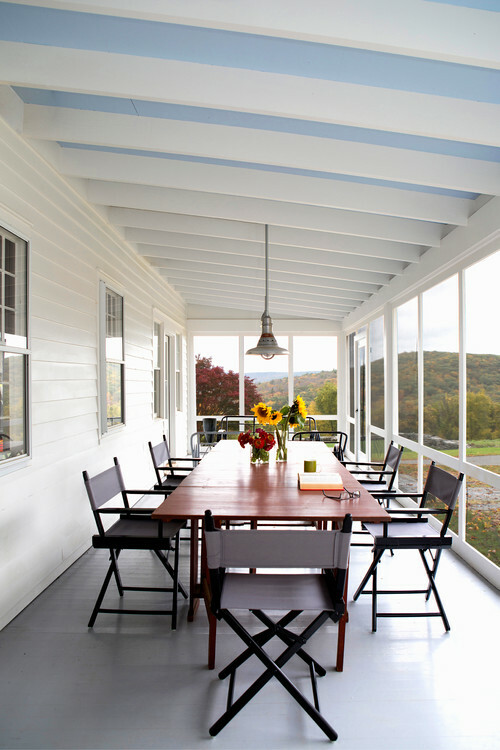 pendant light will separate this portion of the porch so that it feels like its own outdoor room. 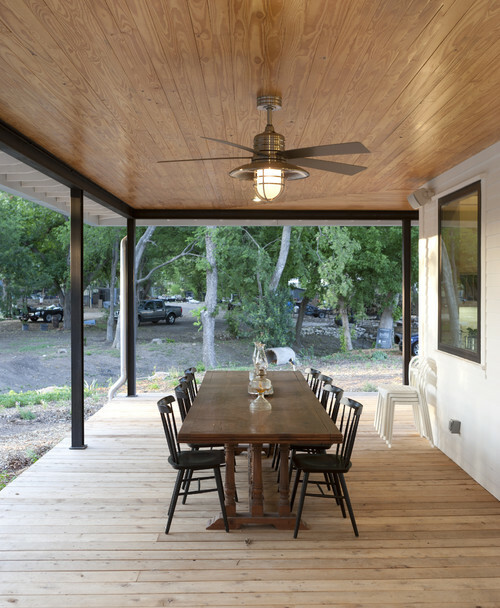 a rustic look not only to the pendant but to the entire porch. is always a great option, especially when it can help keep you cool in the summer months. 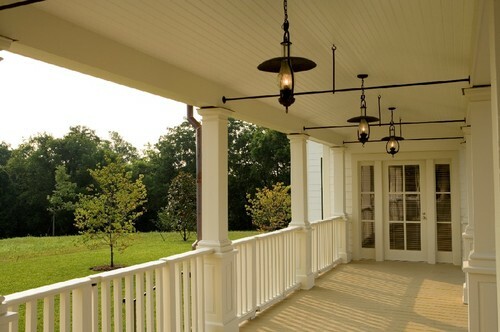 Which of these four porch lighting options is your favorite? Share your thoughts in the comments below, and find more outdoor farmhouse lighting [here]. This entry was posted on Thursday, July 19th, 2018 at 8:00 am	and is filed under Decorating, Lamps and Lighting, Outdoor, Thematic, Thursday's Theme. You can follow any responses to this entry through the RSS 2.0 feed. You can leave a response, or trackback from your own site.